Looking to downsize or a home with low yard maintenence! 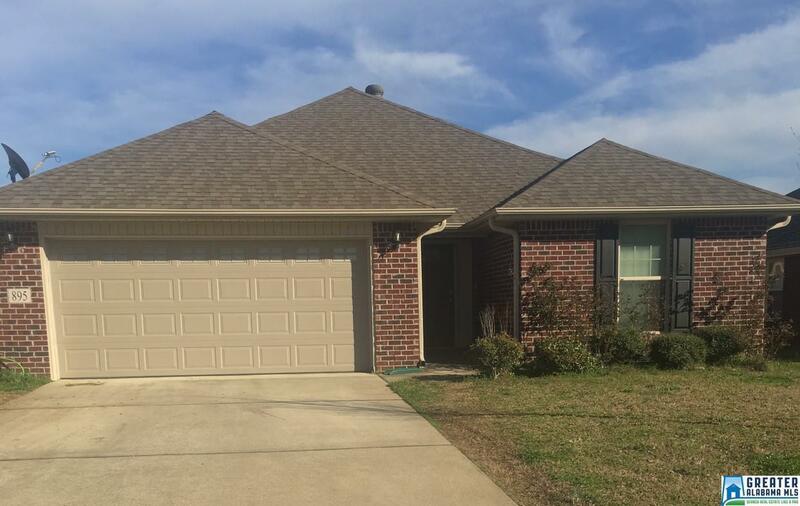 Welcome to this beautiful 4 sided brick, 3 bedroom 2 bath energy efficient home located in the lovely Woodland Ridge neighborhood! It has a beautiful kitchen with stainless steel appliances and recessed lighting that overlooks the living/dining combo with wood burning fireplace. The Master Suite has a nice bedroom with spacious bath, double vanity, garden tub and separate shower, plus a nice size walk-in closet. The open patio sits right off family room onto the spacious back yard. Copyright 2019 Birmingham Area Multiple Listing Service. All rights reserved. The data relating to real estate for sale on this web site is provided by the Birmingham Area Multiple Listing Service. Information provided is for consumer\'s personal, non-commercial use and may not be used for any purpose other than to identify prospective properties consumers may be interested in purchasing. This site will be monitored for \'scraping\' and any use of search facilities of data on the site other than by a consumer looking to purchase real estate, is prohibited. Listing broker has attempted to offer accurate data, but buyers are advised to confirm all items. Information last updated on 2019-04-25.